Have you ever wanted to wield the power of mythical weapons of history in your deck? Empower yourself with Artifacts! The Artifact archetype is one of the more unique archetypes to be created for the card game and not introduced due to the anime. A series of Level 5 LIGHT/Fairy monsters, these monsters are all about playing mindgames with your opponent. All of the Main Deck monsters can be set face-down in your Spell/Trap Zone, and they are all about activating and subsequently playing during your opponent’s turn. Whenever one of your set Artifacts is destroyed during your opponent’s turn, it can be Special Summoned. Also, most Artifacts have a second effect that activates when they are are Special Summoned during the opponent’s turn. Many of you have probably heard of this archetype being used as an engine, as Artifacts made up the ‘A’ in HAT variants, but how many of you realize that pure Artifact can actually be an effective deck in itself? In fact, the deck has never had as good of a chance to compete as right now, as they finally have more generic, high-advantage cards at their disposal, combined with so many duelists using backrow destruction like Twin Twister. It’s a perfect maelstrom, the perfect time to raise your ancient weaponry and watch it rise once more. But before I begin discussing how this theme ties itself together into a seamless bow, I want you to understand the benefits of using this archetype in its pure form. Very few archetypes have access to a card that summons any of their archetype members straight from the deck. But even fewer can be activated at any point of the game, and even less than that also trigger the most important effects of your deck. Sure, the Artifact engine has the same capability, but only if you have Artifact Sanctum. With a Pure Artifact deck, you have a much larger range of combinations that achieves the same result. You have access to all of the strengths of the Artifact engine, but magnified and with added consistency. Trust me, it feels good to pull whatever monster you need straight out of the deck. The questions becomes, does the Artifact archetype bring enough to be successful on their own? I strongly believe that the answer to that question is yes, it does. Hopefully you will believe that too by the time you finish reading, otherwise I didn’t do a good job! As you might expect and as I hinted earlier, the biggest plays begin with our the Artifact Spell and Trap cards. Artifact Sanctum lets you Special Summon any Artifact straight out of your deck, and if your opponent happens to destroy it, you get to destroy a card on the field. (Yes, you can use that effect to trigger one of your other set Artifacts). This lets you bring out whichever Artifact you need to handle the situation. In other words, it lets you choose your weapon wisely! The other support card that gives you your power is Artifact Ignition. First you get to destroy a Spell or Trap on the field, then you set any Artifact from your deck to your Spell and Trap zone. Now, when the Artifact engine was popular, this card was used as a substitute or simply multiple copies of Mystical Space Typhoon because it gave you destruction with benefits. But when you are using an entire Artifact deck, this is the card that unlocks ALL of your big combos. If you destroy your own Artifact Beagalltach or Artifact Vajra during your opponent’s turn, Ignition turns into 3 more copies of Sanctum. If you have both Sanctum and Ignition and Beagall or Vajra? That’s when the sheer power and advantage of the Artifact theme starts to shine through. As for Artifacts Unleashed… we’re just going to pretend that card doesn’t exist, because the Artifacts would look pretty bad if you judged them just based on that. After all, these fairies do deserve a bit of the spotlight when analyzing their archetype, so let’s bring up our weapons themselves! The Artifact deck is easily classified in the Disruption category of strategies, as pretty much the bulk of their most useful monsters are all about preventing your opponent’s actions. Artifact Moralltach is probably the most well-known Artifact, as it was the key part of the engine that dominated for formats in both the TCG and OCG. Whenever it is Special Summoned during the opponent’s turn, you get to destroy any face-up card your opponent controls. The best part about his effect? It doesn’t target. This gives you spot removal, and while you can only run 1 copy of him from here on out due to his Limited status, the pure Artifact deck runs many ways to reuse, reduce, then recycle. Who knew the archetype on ancient weapons would be so green? Next up, Artifact Scythe clocks in as the most disruptive Artifact in your arsenal, although that title depends on the matchup. After it is Special Summoned during your opponent’s turn, your opponent cannot Special Summon anything from the Extra Deck. This is insanely powerful against decks that rely upon Extra Deck bosses, Pendulum Summoning, or even simply R4NK monster removal. Artifact Lancea follows in a similar vein but with a different activation condition than any other Artifact. It can be tributed from the hand or field at any point during your opponent’s turn to prevent any cards from being banished for the rest of the turn. This is important to your deck, since every Artifact’s first effect activates when it is destroyed and sent specifically to the Graveyard. Also, it can be used to interrupt some banishing effects or prevent most Kozmos from activating entirely. Lastly for disruption Artifacts, we have Artifact Achilleshield and Artifact Aegis. I am grouping each of these together, since they are pretty similar in role. Achilles prevents your Artifacts from being selected as an attack target for the rest of the turn, effectively stopping destruction by battle, and Aegis prevents your Artifacts from being targeted or destroyed by card effects for the rest of the turn. These two are generally overlooked for the Artifact engine, due to not offering any pure gains in card advantage, but they are effective when you are running so many combos to pull the precise Artifact you need. I called Artifacts a disruption-based archetype and spent some time discussing the disruption Artifacts, but the strategy also heavily leans toward the advantage category, so let’s talk about the advantage Artifacts. There is no better place to start than Artifact Caduceus. While it is face-up on your field, every time you Special Summon an Artifact monster during your opponent’s turn, you get to draw a card. Think of it like a themed T.G. Hyper Librarian, every time you unleash one of your Artifacts, you get card advantage in return. Next up, you have your main source of recovery, Artifact Failnaught. Whenever it is Special Summoned during the opponent’s turn, you get to set an Artifact monster from your Graveyard back into your Spell/Trap Zone. This is important because it is the second Artifact that provides advantage just on its own, but it also provides searchable ways to recycle your Moralltach, Scythe, and more. The last batch of Artifact monsters is those whom I like to refer to as the enabler Artifacts, the monsters that enable all of your key plays. Artifact Beagalltach is the first of these, as whenever it is Special Summoned during the opponent’s turn, you destroy up to 2 set cards you control. At first glance, this is a major negative since you are just losing card advantage, but when you are destroying Artifacts, you can only gain card advantage through Moral, Fail, or Caduc, you can’t really lose any. The other enabler has a similar effect, Artifact Vajra. Currently only available in the OCG, this Artifact destroys all cards in your Spell/Trap Zone when it is Special Summoned, but it also has the additional ability to Special Summon itself from the hand whenever your opponent declares a direct attack. Don’t get me wrong: the deck is improved with Vajra, but it is not necessary for the deck to function, so please do not discredit the archetype just because the TCG does not have Vajra yet. You’ve met the main monsters, I’ve talked about their interactions and how they disrupt your opponent while giving you advantage. However, I haven’t spent much time talking about the glue that holds this deck together, and that is draw power. Introducing a card that has made waves since its release, Card of Demise. I haven’t discussed this card yet, as it hasn’t come up in any of my articles until now, but I do have a very strong opinion that this was one of the best designed cards of recent memory, right up there with Floodgate Trap Hole. Sure, Demise brings a potential +2 to the Artifacts, but what’s even more important is that it gives you an even better chance of opening Sanctum or Ignition, the two cards that win you duels. I mentioned at the beginning that the timing has never been more perfect for the Artifacts, and that is because of this Spell letting you dig through your deck so quickly. But it is not alone. Alongside Demise should always be Pot of Duality with Artifacts, and it just happens to mesh with Demise rather perfectly. I don’t think I need to explain how important a card that lets you pick from your top deck can be. Lastly, Pot of Desires is an option as well. Desires is a highly debated card for competitive play right now, and my mentality when it comes to Artifacts is rather simple – if you are using the Synchro variant with Tuners as your non-Artifacts, then Desires is amazing since PSY-Framelord Omega can recycle the key cards you accidentally banish. If you don’t, then Desires just has too high of a probability of ruining your duel. Remember, every Ignition or Sanctum banished gives you a significant drop in potency. They unlock your biggest advantage combos, so you never want to lose them just for a potential +1, but Desires can have an impact if you want to be a risky. In total, I’ve given you a very brief overview of the archetype, key cards, and main combos. From here on out, the deckbuilding decisions now fall squarely upon your shoulders. Pretty much all of the Tech cards I will mention in the next section are options that have the tendency to pull the deck in different directions. By running Card of Demise, you need to have a way to ensure that you can use the 7 or 8 cards you have in your hand when activating it on your first turn. And for Artifacts, since they are all Level 5, you only have 5 Spell/Trap Zones to fill with archetype cards, so you need to round out your build with outside support to make the most of Demise and your archetype. This is the most important part of a pure Artifact deck, the deckbuilding phase.It determines your strongest matchups, weaker matchups, and which plays you can disrupt or get out of in the first place. Without further ado, let’s get a handle on the tech cards. Blackwing – Gale the Whirlwind – The first of our ‘Synchro Artifact’ tech options. Gale offers the ability to reduce the power of your opponent’s boss monsters, while also being DARK which unlocks the power of not only Beelze of the Diabolic Dragons, but also Void Ogre Dragon. This utility both with and without the ability to Special Summon is extremely important and noteworthy. Al-Lumi’Raj – One of the most undervalued cards in the game, this tuner is all about reducing the power level of every single monster on the field. While it may only have 700 ATK on the field, it forces Level 4 monsters to have at least 1900 ATK, Level 5 to have at least 2200, and so forth in order for your opponent to be able to destroy it in battle. This is especially powerful versus decks that rely upon high-level monsters like Blue-Eyes, since Blue-Eyes White Dragon is reduced to a measly 600 ATK while Raj is on the field. Chaos End Master – This is a bit of a riskier and less viable option, but it can be used in tandem with some other tech cards to bring out any of your weaker Artifacts from the deck. Such as Caduceus. So it definitely has a chance to make a massive impact. Uni-Zombie, Mezuki, Shiranui Solitaire – By choosing to run this engine, you have to sacrifice a couple of Artifacts, because it is a rather large engine. But with it come great power. Uni-Zombie is a great Normal Summon that can raise itself to Level 5 if need be for an Xyz Summon, it is infamous for enabling the PSY-Framelord Omega/Mezuki loop. This engine also gives you more single-card combos, since Artifacts are pretty much known for relying on multi-card combos to excel. All in all, this is a powerful engine to pair with any deck, but it truly shines here when you don’t have other monsters to compete with for the Normal Summon. Eccentric Boy, Ghost Ship, Miraculous Descent, Cards from the Sky – A wierd combination of cards, but these are essential for the banish version of the deck. Eccentric is used to Synchro Summon into Angel of Zera, which will bring itself back when removed from the field, Ship and Cards are used to banish your Artifacts, and then Miraculous brings them back. The benefit to this sort of build is that Bottomless Trap Hole, Kozmojo, or other banishing trap cards cannot remove your Artifacts from being recycled. Vylon Tetra – So I heard you wanted to hear about a good tuner tech option that isn’t Level 3. Well this is one of your best ones. Tetra unlocks the mighty Level 7 Synchro monsters, including Black Rose Moonlight Dragon and Clear Wing Synchro Dragon. The best part is that Tetra can also immediately equip to said Synchro monster, protecting it from destruction once. You can even just set Tetra to be used to protect your Caduceus once it falls to the Graveyard. Ghost Ogre & Snow Rabbit – Everyone knows about this card that has been a common side card for many months now. But did you know you can use its effect while it’s on the field? This is important because it allows you to set it to avoid the End Phase discard from Card of Demise. It also has a useful effect versus virtually every single deck that has ever been and will ever be in the game. Plus it’s a tuner. What more can you ask for? Doomcalibur Knight – Next up on our list is our disruption monsters. Doomcalibur may have faded from its position as one of the most annoying monsters in the game, but it still can throw a couple of hitches in your opponent’s gameplan. Thunder King Rai-Oh – This is the other disruption-based monster. Rai-Oh still remains Limited in the TCG, but he still can make an impact when you draw into him. Blocking out search effects is insanely powerful, and it even adds a Summon negation to the mix. Don’t forget, you want your opponent to waste resources to get him off the field, because you easily can win in a grind game with a full Artifact backrow. That is one of many things the Artifacts can do rather well. Engraver of the Mark – A rather unconventional disruption monster, but it still can be somewhat useful. Engraver has a quick effect to target a face-up card, then destroy it during the End Phase of the subsequent turn. Since it can be used on either player’s turn, you effectively have the chance to activate him on 2 cards your opponent controls before it can be destroyed by battle. While there are ways to play around his effect, and he does not offer immediate gains in card advantage, he can contribute to a +1 in advantage over time. His first effect is simply a bonus if your opponent tries to tech in Mind Crush. Honest – You are using a LIGHT deck so this should be self-explainatory right? Wrong. You don’t actually use this to support your Artifacts, you choose to run this tech if your other Tech monsters are LIGHT monsters. Even though it is still Semi-Limited, Honest is not the power card that it once was, so please don’t delude yourself too much about its power level in the current game. Absorbing Jar – This is by far the card that can win you the game or your opponent will just remove and prove useless. If your opponent happens to attack into it, this could be a sheer +5 OR MORE in card advantage if you destroy all Artifacts, draw a card for each one, then move forward with resolving all of your Artifact effects. Many Artifact users consider this a highly situational or ‘win-more’ card, but its effect is very potent and can even serve as a great way to clear the backrow before you go for an OTK. Aroma Jar – If you are asking why I picked the worst Aroma card as a tech option, please wait to hear me out. Jar may not be the strongest monster in existence, nor is it even THAT good at being indestructible by battle. What it does bring to the table is a ticking time bomb. If your opponent doesn’t get it off the field quick enough, you will start to gain 500 LP on each player’s EP. Once you hit 9000 or 10000 LP, your opponent will have a much harder time pulling off a full OTK. The danger is that your opponent is running Blue-Eyes, in which case Blue-Eyes Chaos MAX Dragon will ruin your day. Then again, I’ve always been one to appreicate the importance of LP as a secondary resource, so this may not be as enticing of an option to you. Malevolent Catastrophe – Now this next segment of tech options does not include monsters, rather additional ways to trigger your Artifacts while they are set in your Spell/Trap Zone. Malevolent is the first, as it is a Heavy Storm upon your opponent’s attack. This can effectively be considered a Trap-card version of Absorbing Jar, but what is even better is that the best part of being a Trap for Artifacts is that your opponent should be afraid to blind Twin Twister or MST out of fear of hitting a face-down Artifact. Again, this has the potential to truly amaze. Full House – Consider this the Malevolent Catastrophe that can be chained. Full House can completely clear away your opponent’s setup if they over-fill their backrow, but it also can be used on your face-down Artifacts rather effectively. Is it a perfect tech card? No. But it defintiely has even more of an impact here than as a side card for other decks. Chain Whirlwind – While this is a multi-backrow destruction card just like Twin Twister, Whirlwind has a bit more of a gating behind its effect. You should have no problem triggering this card, and it works just like an Artifact Beagalltach whenever you have an Ignition plus any other Artifact. Never forget it can be used on your opponent’s cards as well whenever you go to begin a big Artifact combo. Double Cyclone – Consider this a MST that also destroys one of your opponent’s cards. Since if you do run MST in Artifacts, most of the time you will using MST on your own cards! Shining Angel, Nova Summoner – Now that we’ve escaped the s/t destruction portion of the tech options, it’s time to talk about this duo. Why are they important? Because when they are destroyed in battle, you can summon out Beagalltach, Aegis, or Achillles, each of which can be rather useful to have during the opponent’s turn. Just like Chaos End Master, these are monsters that can serve as restricted additional copies of Sanctum and Ignition. A full suite of each may be a couple too many, but a couple can definitely be useful. Dark Sanctuary – To Be Released September 16, 2016 for the TCG in DP: Rivals of the Pharaoh – Alright, this is by far my new favorite card to run in the deck, and by no means would you expect it to work as well as it does. Right now, many duelists are overloading on Twin Twister, and that means that they will feel a large amount of pressure to destroy two cards to ensure they do not lose card advantage. That being said, I’m sure you’re aware this card doesn’t give you any card advantage. In fact, we’re actually going to ignore all but the last line of text on the card, since Destiny Board will never work with Artifacts. By having this Field Spell face-up, your opponent will have to choose – destroy it, or risk losing LP. I can promise you now, if their choice is to Twin Twister for just one card or attack for a possible OTK, most duelists will go for that OTK. Because it has been ingrained in most duelist’s heads that LP doesn’t matter until it hits 0. I cannot tell you how many times someone has overextended versus my Dark Sanctuary, because card advantage is so much more important in the minds of many TCG players. You are already playing Artifacts which causes a major mindgame for your opponents – I implore you to consider playing up the mind games even more. One final note, this uses the Field Zone which is perfect when you don’t want to lose cards to Card of Demise in the End Phase. Gold Sarcophagus – This may be an older card, but it certainly works with Card of Demise quite well. This is yet another option to dodge the End Phase discard, since it is a delayed one-for-one in card advantage. Also it lets you get to a specific card that will help you win the duel. Call of the Haunted, Oasis of Dragon Souls – Easily the cards that are seen as pseudo-staples, since they all let you trigger your Artifacts back from the Graveyard. If you happen to use one of these while Caduceus is face-up, you also get a draw as well! Talk about amassing free card advantage. My favorite part about these cards is that they work well in tandem with Demise in the case that you can’t utilize your entire hand. Simply set the Continuous Traps over one of your Artifacts, then revive it during your opponent’s turn! One final note, you don’t have to worry about these clogging your backrow after you Xyz Summon, because Pleaides can simply return it back to hand. Additionally, you can always rely upon Vajra to wipe them away as a last resort. The Monarchs Stormforth – Always should be a tech card to consider in a deck with Level 5 or Level 6 monsters. The non-targeting, non-destruction monster removal cannot be overstated, even if you can’t get any of your Artifact effects. But what you can do is tribute summon Caduceus to still roll in the advantage train! Just keep it in mind! Star Drawing – The last batch of related tech cards is all about Xyz Summoning. Drawing is first up on our list, because it lets you keep card advantage while creating your powerful R5NK Xyz Monster. Is it useful? Yes. If only it was LIGHT to ensure you could still go into Pleaides, but since it is EARTH, it is less of a shoe-in and more of a strategic decision. Galaxy Soldier – This is a LIGHT deck and you are all about the R5NK life. By running Soldier as well, you can choose to include Cyber Dragon Nova and Cyber Dragon Infinity in order to add a bit more disruption to your deck. But again, this could lead to severe losses in card advantage if your opponent gets around your Infinity quickly. Just like every other card on this list, strategic trade-offs. Chronomaly Golden Jet – Need a Level 5 for Xyz Summons that is LIGHT and can be Normal Summoned without tribute? Look no further. 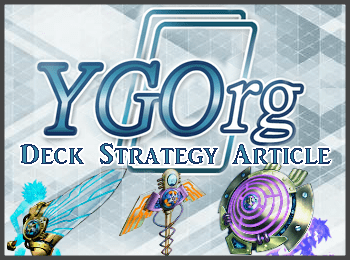 Chronomaly Artifact was a deck that seiged the OCG meta for quite some time, and by all means, you can bring back a little bit of that with a splash of Chronomaly in your pure-Artifacts! Artifact Chakram, Artifact Labrys – These are your other Artifacts, and they have very specific uses. Chakram lets your protect backrow you do not want to see destroyed, while also giving you another Artifact that can easily be Special Summoned from the hand. Labrys only has the second part of that, as it is an easy Artifact to Special Summon from the hand. I personally prefer monsters that bring a bit more to the deck, which is why I decided to leave these out, but you could consider them for your personal build. But by all means, don’t even consider Artifacts Unleashed. Please. Click open the spoiler below to check out my sample decklist. You may not agree with my tech choices, but this is how I prefer to build and run the deck. Your ‘best build’ will and should most definitely be different. As always, the list above is just my personal build. I strongly encourage you to hoist your ancient weapon and join the fight, you’ll find the mindgames behind this deck to have no equal. After all, psychological warfare with Fairies is always an effective way to play Yugioh. Right Herald of Perfection? Until the next time, keep innovating and building creative decks! Most of all, just enjoy dueling for the fun that it can be!